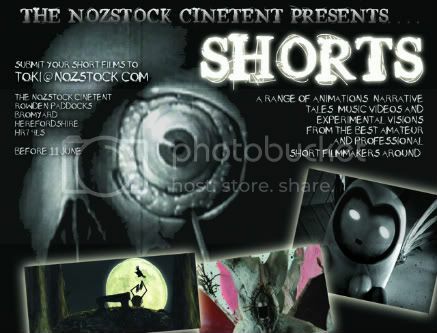 Nozstock’s resident cinetent showcases a collection of eclectic short films varying through documentaries, live-action narrative tales, music videos, animations and experimental works. This year the homegrown programme will screen alongside work from BBC Film Network, onedotzero, locals Rural Media among others. Contributors to Nozstock’s homegrown programme range from professional filmmakers to first attempt amateurs, the only specific criteria for qualification being that films are based around a strong original concept. The cinetent offers opportunity for up and coming filmmakers to be screened alongside established auteurs and programmes by ground-breaking visual distributors.